Body is muslin that is painted and stained. Face is needle sculpted. Wings are lined with quilt batting and stitched. Feet are made of clay. Hat is felt. Hat and vest adorned with wood stars. Intermediate Level. 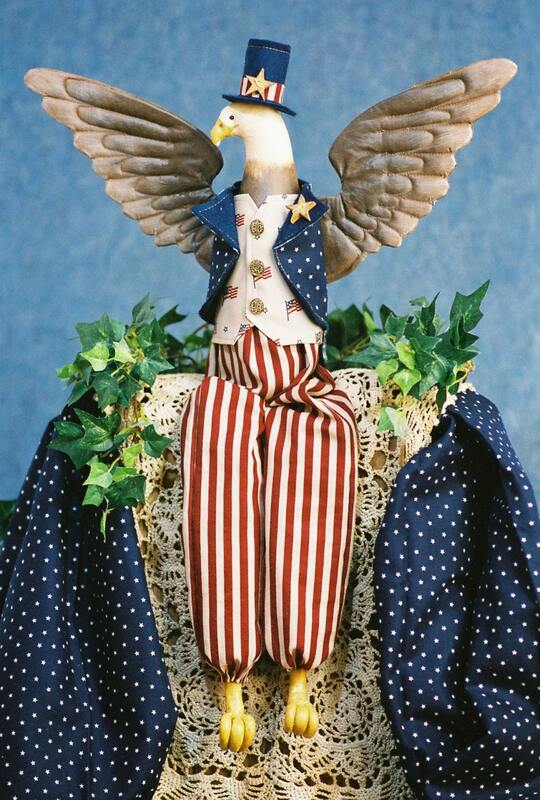 A fantastic Americana, Folk art doll.